“International Journal of Biomedicine” (IJBM) endorses and behaves in accordance with the codes of conduct and international standards established by the Committee on Publication Ethics (COPE). IJBM publishes peer-reviewed articles on the topics of basic, applied, and translational research on biology and medicine. IJBM’s editorial procedures are guided by the COPE Code of Conduct for Journal Editors and Recommendations for the Conduct, Reporting, Editing and Publication of Scholarly Work in Medical Journals of the International Committee of Medical Journal Editors (ICMJE). The editor also may be guided by the policies of the journal’s editorial board. Manuscripts are evaluated for their content without regard to race, gender, sexual orientation, religious belief, ethnic origin, citizenship, or political philosophy. IJBM is committed to following best practices on ethical matters, errors, and retractions, and to provide legal review if necessary. The editor and any editorial staff must not disclose any information about a submitted manuscript to anyone other than the corresponding author and reviewers, other editorial advisers, as appropriate.The editor and any editorial staff must not disclose any information about a submitted manuscript to anyone other than the corresponding author and reviewers, other editorial advisers, as appropriate. Unpublished materials disclosed in a submitted manuscript must not be used in an editor's own research without the express written consent of the author. Privileged information or ideas obtained through peer review must be kept confidential and not used for personal advantage. All authors must disclose any financial or other relations that could lead to a conflict of interest. If a potential conflict exists, its nature should be stated for each author. When there is a stated potential conflict of interest a footnote will be added indicating the author's equity interest in or other affiliation with the identified commercial firms. All sources of financial support for the study should be cited, including federal or state agencies, nonprofit organizations, and pharmaceutical or other commercial sources. Acknowledgment of those who contributed to the research or preparation of the paper should follow the text. Please use ICMJE Form for Disclosure of Potential Conflicts of Interest (http://www.icmje.org/conflicts-of-interest/). IJBM reviews the manuscript for appropriateness and notifies the corresponding author whether it is under consideration for publication. Articles under such consideration are sent to expert peer reviewers selected by the editor. Peer review is the critical assessment of manuscripts submitted to journals by experts who are usually not part of the editorial staff. The Editor-in-Chief is ultimately responsible for the selection of all its content. The Editor-in-Chief or Members of EB may sometimes reject manuscript without external peer review if the manuscript is outside the scope of IJBM, does not meet the journal’s quality standards. Accepted manuscripts become the sole property of the IJBM and may not be published elsewhere without the consent of the IJBM. Reviewers are chosen by Editor-in-Chief or Members of EB to whom the task has been delegated. Editor-in-Chief or Members of EB send confidential information to the reviewer with the invitation letter, which should be treated as such. Editor-in-Chief or Members of EB provide the reviewers with written, explicit instruction on the IJBM’s expectations for the scope, content, quality, and timeliness of their reviews to promote thoughtful, fair, constructive, and informative critique of the submitted manuscript. The Editor-in-Chief and Members of Editorial Board ensure that reviewers have access to all materials that may be relevant to the evaluation of the manuscript, including supplementary material for e-only publication, and to ensure that reviewer comments are properly assessed and interpreted in the context of their declared conflicts of interest. Reviewers should declare their conflicts of interest and recuse themselves from the peer-review process if a conflict exists. Reviews should be conducted objectively. Reviewers should express their views clearly with supporting arguments. IJBM reserves the right to edit text for clarity, style, and length. Final drafts are sent to authors for review before publication. If the reviewers recommend extensive revisions or have question, authors may be asked to revise their manuscript and then resubmit the article. Manuscripts sent for review are the private property of the authors. Reviewers not are allowed to make copies of the manuscript for their files. Reviewers should return or destroy copies of manuscripts after submitting reviews. Our reviewers are experts in their fields from around the world. If you are interested in becoming a reviewer for IJBM, please fill out the Form for Reviewers. IJBM will be pleased to accept services of reviewers in the fields of clinical science, experimental medicine and biology. Generally, peer review is completed within 3-4 weeks and the editor’s decision within 7-10 days of this. It is therefore very rare to have to wait more than 6 weeks for a final decision. IJBM accepts manuscripts that have not been published elsewhere and are not under consideration for publication by other print or electronic media. Authors must present an accurate account of the work performed as well as an objective discussion of its significance. Underlying data should be represented accurately in the paper. Fraudulent or knowingly inaccurate statements constitute unethical behavior and are unacceptable. The authors should ensure that they have written entirely original works, and if the authors have used the work of others that this has been appropriately cited. Manuscript should conform to the Uniform Requirements for Manuscript Submitted to Biomedical Journals, developed by the International Committee of Medical Journal Editors and available at http://www.icmje.org. Please review section “For Authors”. Plagiarism is not acceptable in IJBM submissions. Plagiarized content will not be considered for publication. If plagiarism is identified, we will follow COPE guidelines. If plagiarism is detected during the peer review process, the manuscript may be rejected. Studies involving human subjects or tissues must adhere to the Declaration of Helsinki and Title 45, US Code of Federal Regulations, Part 46, Protection of Human Subjects, and must have received approval of the appropriate institutional committee charged with oversight of human studies. All research studies involving animals must have been conducted following animal welfare guidelines such as the National Institutes of Health (NIH) Guide for the Care and Use of Laboratory Animals, or equivalent documents. Authors are required to ensure the following guidelines are followed, as recommended by the International Committee of Medical Journal Editors, Uniform Requirements for Manuscripts Submitted to Biomedical Journals. Patients have a right to privacy that should not be infringed without informed consent. Identifying information, including patients' names, initials, or hospital numbers, should not be published in written descriptions, photographs, and pedigrees unless the information is essential for scientific purposes and the patient (or parent or guardian) gives written informed consent for publication. Informed consent for this purpose requires that a patient who is identifiable be shown the manuscript to be published. Authors should identify Individuals who provide writing assistance and disclose the funding source for this assistance. Identifying details should be omitted if they are not essential. Complete anonymity is difficult to achieve, however, and informed consent should be obtained if there is any doubt. For example, masking the eye region in photographs of patients is inadequate protection of anonymity. If identifying characteristics are altered to protect anonymity, such as in genetic pedigrees, authors should provide assurance that alterations do not distort scientific meaning and editors should so note. When informed consent has been obtained it should be indicated in the submitted article. To provide Open Access, IJBM uses a business model to offset expenses—including those of peer review management, journal production and online hosting and archiving—by charging a publication fee to the authors, institutions or funders for each article published. Publication fees are payable for articles upon acceptance (Instructions for Authors). IJBM believes that lack of funds should not be a barrier to Open Access publication. IJBM provides individual fee support. 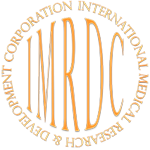 Authors' research which is funded primarily by an institution or organization from eligible low- and middle-income countries (see the World Bank official website) will receive partial or full fee funding paid by the IMRDC. Authors grant to the Journal an exclusive right to publish his/her article with selected user’s license on Journal’s online platform, the right to share his/her article in all formats so his/her research is widely distributed after publication using the latest technology, and the right to enforce his/her user license, on his/her behalf, against third parties in the case of plagiarism, ethical disputes and fraudulent use. Authors retain the copyright of his or her article, patent, trademark and other intellectual property rights in his/her article, the right to request others to provide him/her with an appropriate credit for his/her article when it is referred to, or appears in another work, and the right to use his/her own article in the same way as readers defined by his/her selection of user license. A publishing agreement setting forth the rights and responsibilities of the Parties, where Author selects user license, which suits his/her type of research will be sent to the author when the manuscript is accepted. This agreement must be signed by all authors of the article. Authors should ensure that they have written original works. Any work or words of other authors, contributors, or sources (including online sites) should be appropriately credited and referenced. To use tables or figures borrowed from another source, permission must be obtained from the copyright holder, usually the publisher. Authors are responsible for applying for permission for both print and electronic rights for all borrowed materials and are responsible for paying any fees related to the applications of these permissions. 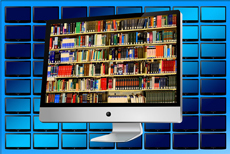 Authors are allowed to deposit their works into an Open Access Repository. Until an electronic backup and preservation of access to the journal content is implemented, we strongly encourage authors to archive the original data sets in publicly available and permanent repositories whenever possible and appropriate. IJBM carries out only advertisement for scientific forum or events. IJBM prohibits selling advertisement for any pharmaceutical product. IJBM is committed to working closely with research organizations and institutions in line with CORE’s advice on Cooperation between Research Institutions and Journals on Research Integrity Cases.